The Compostelan saints were those listed in the Book of Saint James. The four roads to Compostela were described according to the reliquary shrines of the saints to be found on the way. Chapter eight of the Pilgrim’s Guide contained a list of twenty-three shrines which pilgrims were expressly told to visit on their journey. Consisting of twenty-seven saints in all, it included Saint James and the Paladins of Charlemagne among them. Such a text in a hagiographical work is unique in the medieval world. This is what made the pilgrimage to Compostela the pan-European phenomenon that it was. One may wonder to what purpose such a list was made and whether it represented the actual contemporary importance of these saints or whether they were selected for other reasons. Were they chosen as signposts to mark the way or rather to persuade travellers to visit relics they would otherwise have ignored? 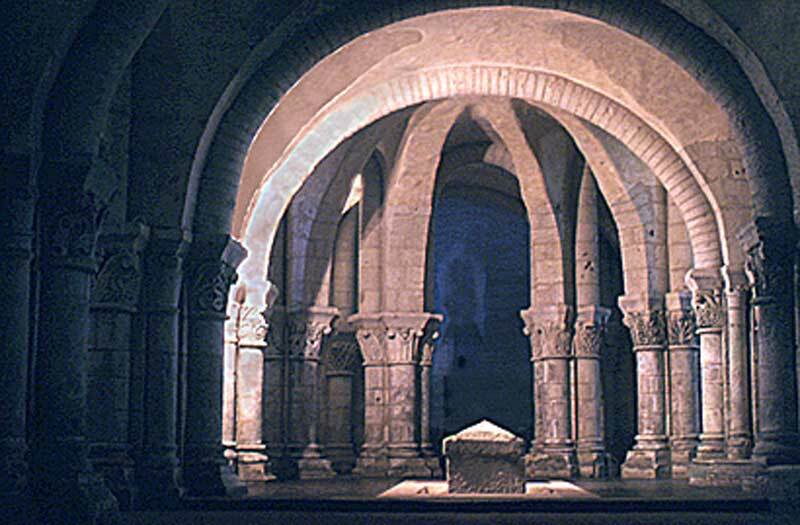 Some shrines clearly benefited from their association with the pilgrimage such as Conques and others such as Saint Sernin of Toulouse were very likely in competition with Compostela. 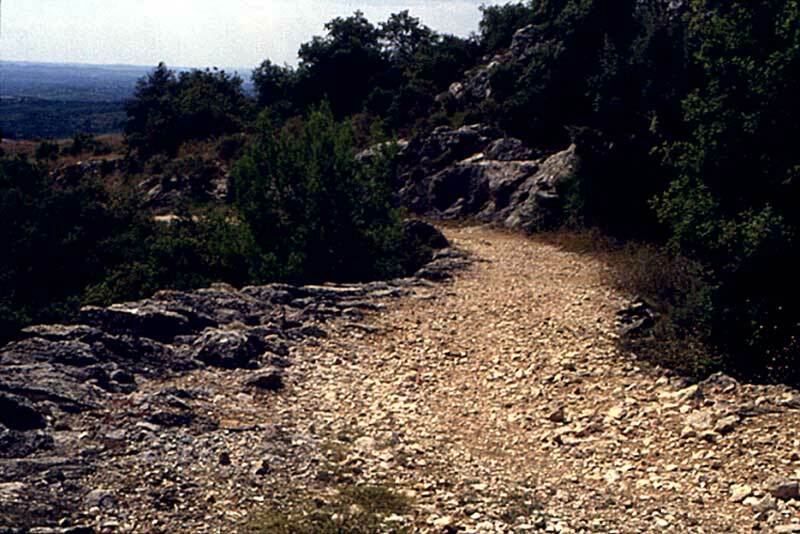 Pilgrims taking the Puy Road would have had to make a significant detour over rough terrain to reach Conques rather than follow the Lot valley which was the easiest way to reach Cahors from Espalion. Yet Conques was plainly an integral part of the Compostelan pilgrimage long before the Book of Saint James was ever conceived. 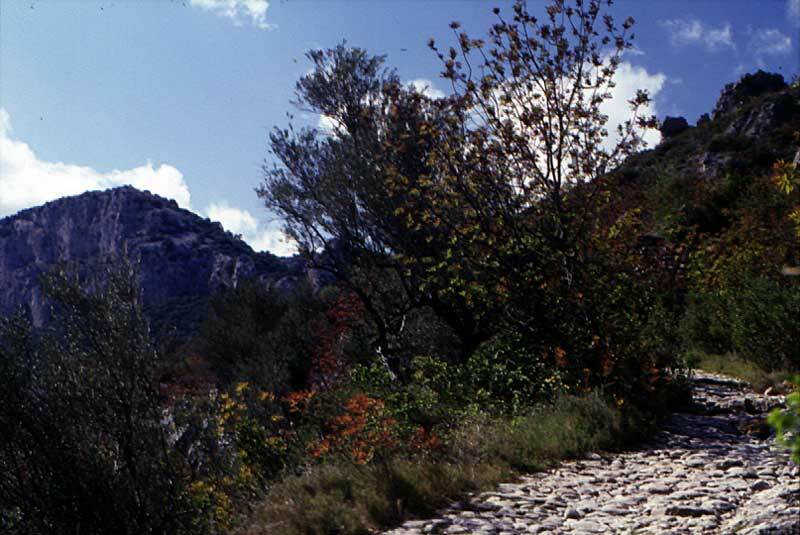 Similarly, pilgrims travelling from Saint Gilles towards Toulouse, undertook an onerous digression when they followed the Guide’s recommendation to visit the shrine of saint Guilhem at the abbey of Gellone, which was located in a rugged area of the Cevennes. Yet Guilhem’s reputation as the hero of extremely popular epic tales preceded the writing of the Pilgrims Guide. The shrines are listed in their geographical order beginning with the Toulouse Road. This road joined together the shrines of Trophimus, Caesarius, Honoratus and Genesius at Arles and tombs of the Alyscans at the entry to the city. After Arles came Saint Gilles and Saint Guilhem. The brief sketch of the four roads in chapter one dictated that this road went via Montpellier. Thus the inclusion of the shrine of the martyrs of Agde; Tiberius, Modestus and Florentius, is appropriate although it is unclear whether this was a variant of the road or whether pilgrims did indeed visit this site as well as the shrine of Saint Guilhem. The final shrine listed on the Toulouse Road was that of Saint Sernin itself, at the city which gave its name to this route. Again, we know from chapter one that this road continued southwards from Toulouse towards the Somport Pass. The Puy Road was next to be described but by the shrine of a single saint only, Foy of Conques. 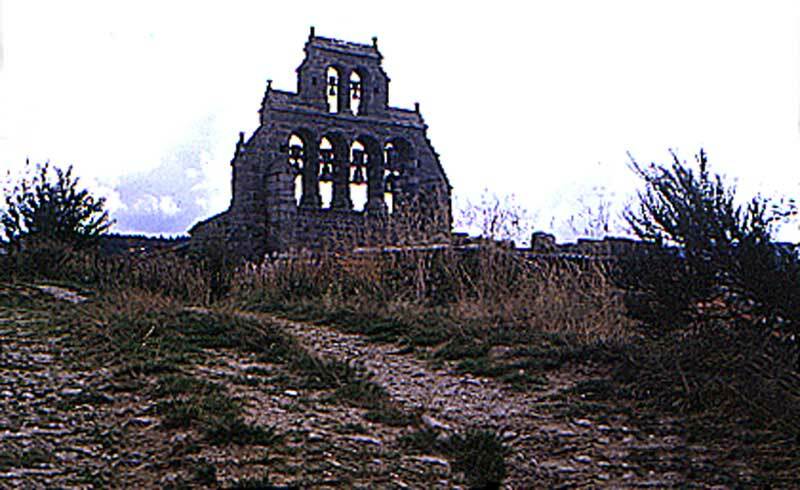 The celebrated shrine of the Black Madonna at Notre-Dame du Puy was not included but like Moissac, mentioned merely to indicate the course of the road. The Limoges Road records only Mary Magdalene at Vézelay and Leonard in the Limousin and Front at Périgeux. The Road of Tours was considerably more replete with saintly relics. Beginning with Euvertius at Orleans, the pilgrim was exhorted to pass via the shrines of Martin at Tours, Hilarius at Poitiers and that of the head of John the Baptist at Angely. At Saintes the tomb of Eutropius, at Blaye; Roland and Romanus, at Bordeaux; the Olifant of Roland and the tomb of Seurin. At Belin, a single grave contained the burial of Olivier, Ogier, Arastain, Garain and other paladins of Charlemagne. 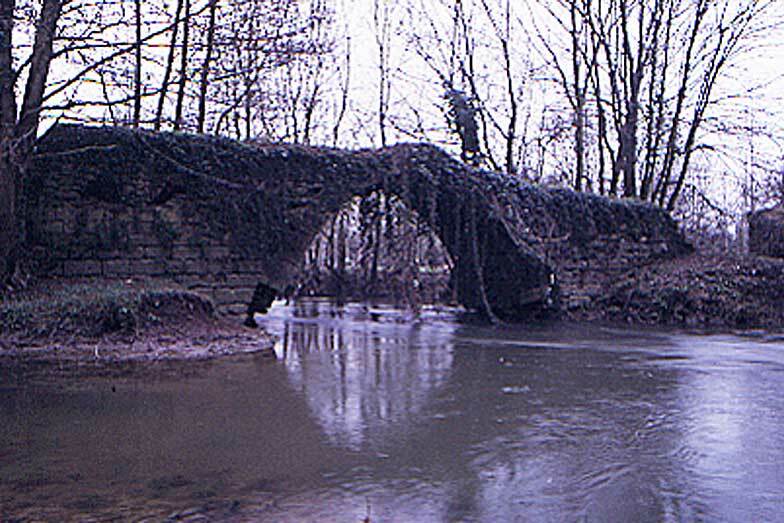 On the Spanish side of the Pyrenees a mere four shrines received the Guide’s approval; Santo Domingo de la Calzada near Logroño, the relics of Facundus and Primitivo at the Cluniac abbey of Sahagun and Saint Isidore at León, before the ultimate destination of the shrine of the Apostle James at Compostela. This list certainly included the most important shrines of the day. By their inclusion in such a list however, several seemingly minor saints were elevated into the most select pantheon. One abiding puzzle remains the lack of any mention of Martial of Limoges, whose shrine merited a major pilgrimage church which rivalled the dimensions of Tours, Toulouse and Compostela. His absence from the text is especially remarkable because the city of which he was patron gave its name to that route and was undoubtedly a major halt on the road. 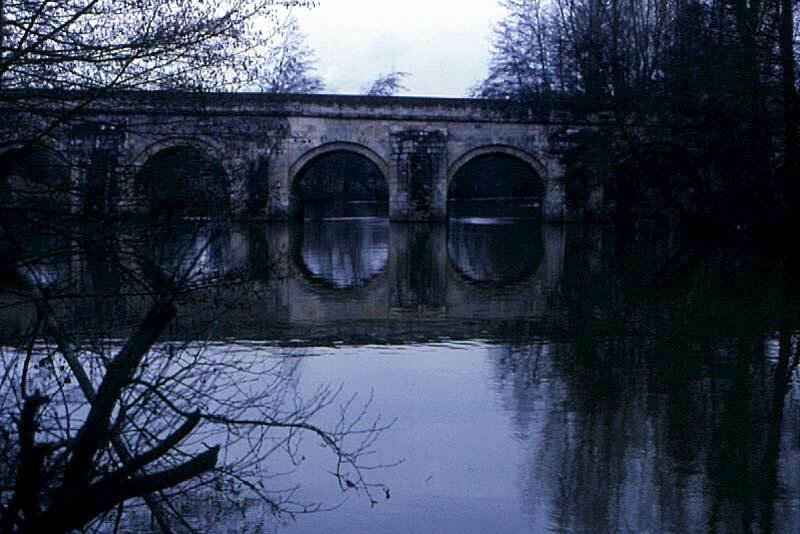 It is now acknowledged that there were numerous variants to the four roads described in the Pilgrim’s Guide and logic insists that it was not intended as a travel guide in any modern sense. Such a consideration may lead us closer to the real intent behind the hagiographical register of the Book of Saint James. The idea that all of these illustrious shrines were mere waystations on the road to the ultimate goal in Galicia could only serve to promote the prestige of Compostela and elevate the Apostle to a status which superceded all others in the celestial hierarchy.